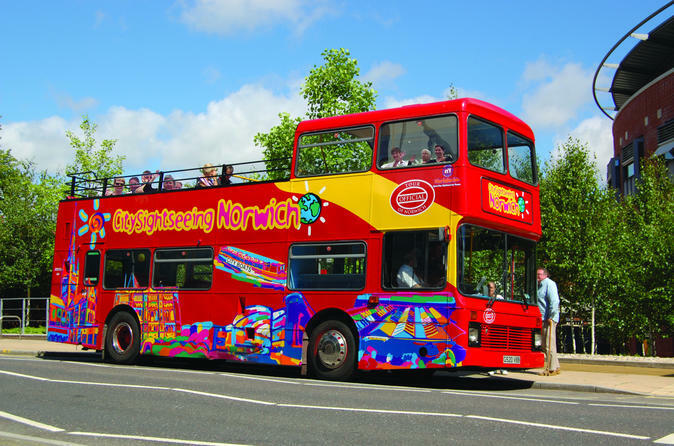 Join a City Sightseeing hop-on hop-off tour to discover the sights of Norwich, one of England's most historic cities. With your 1-day pass, explore Norwich by open-top, double-decker bus and enjoy panoramic views of the city's must-see attractions. Travel the entire 1-hour narrated loop or hop off to explore the places that interest you.